A pretty cardboard stand (try Asda or Paperchase) inspired my latest twist on the ubiquitous scone. 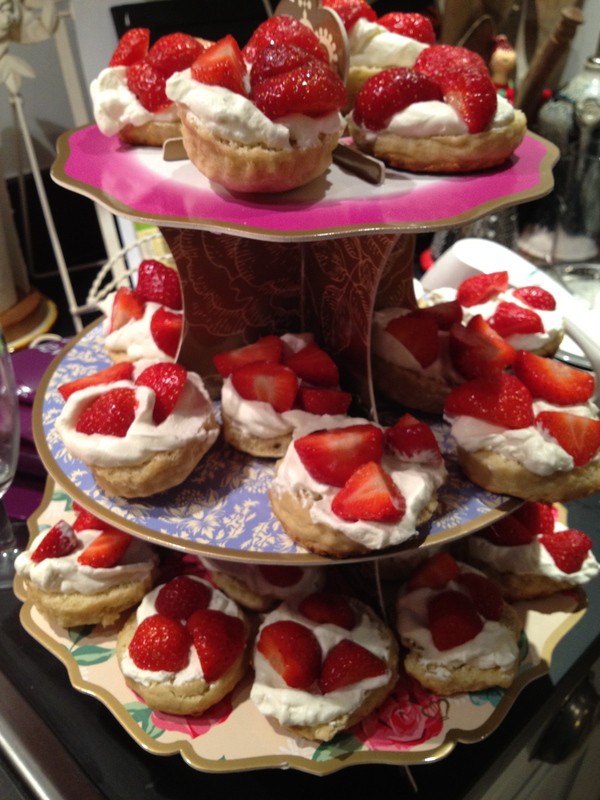 I served a fresh batch with lightly whipped cream and freshly cut strawberries. No clotted cream, no jam. A very enjoyable summer version of a British classic. Version in French here! Use whipping cream and whip it into peaks with a dash of vanilla extract and a spoonful of caster sugar. This entry was posted in baking, English traditional, summer, The idea of the month and tagged british, cream, dessert, idea, scones, summer, vanilla extract. Bookmark the permalink. Looks gorgeous! Will try a version with the clotted cream I’m currently waiting to arrive from Cornwall, with some local French market strawberries, Yumm!